During my first year taking the CIT diploma program I took the Developing Web Applications course (ACIT 2520) where I learned a new way to do web programming, I learnt the ASP.NET framework and C# language as part of the course. During this course I developed a website as part of the final project. I was part of a team of 4 people, each one with different backgrounds and skills. 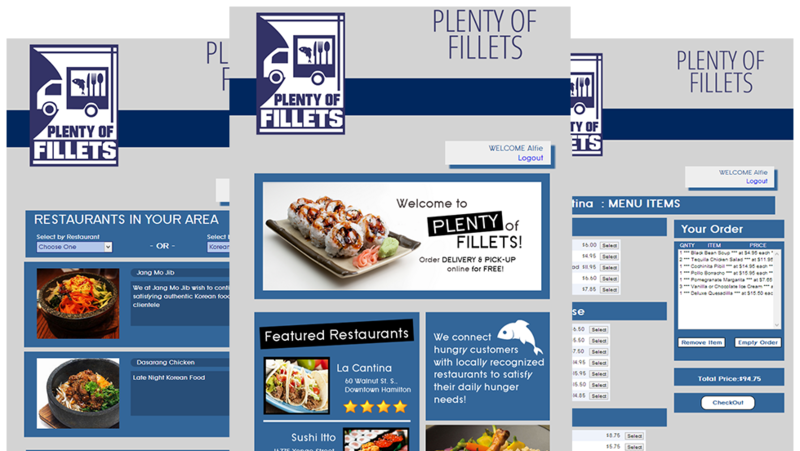 The project involved the creation of a website for a food delivery system. The project was intended to provide with an interface (website) between the restaurants and their customers, providing delivery system to those local restaurants that are not big enough to have delivery system but that are well known by the community. The website didn´t reach the deployment phase because that wasn’t the scope of the project. However the site was ready to be putting online.